Although the company was founded on 27 December 1995, the origins of the activity are sought at an unspecified date in 1994 when the band "Digit Arts" formed by ​​Adam Viusà, Dani Hernández, Ferran Guillamet, Joan Trayter, Jordi Solé and Jordi Rubau, decided to record their album "El sentit de la raó" in the rehearsal place at Joan Trayter’s house. The recording room had a surface of 25 m2 and with an extra 6 m2 added to place the control room. The experience was so positive that friends and acquaintances wanted to record their musical creations too. 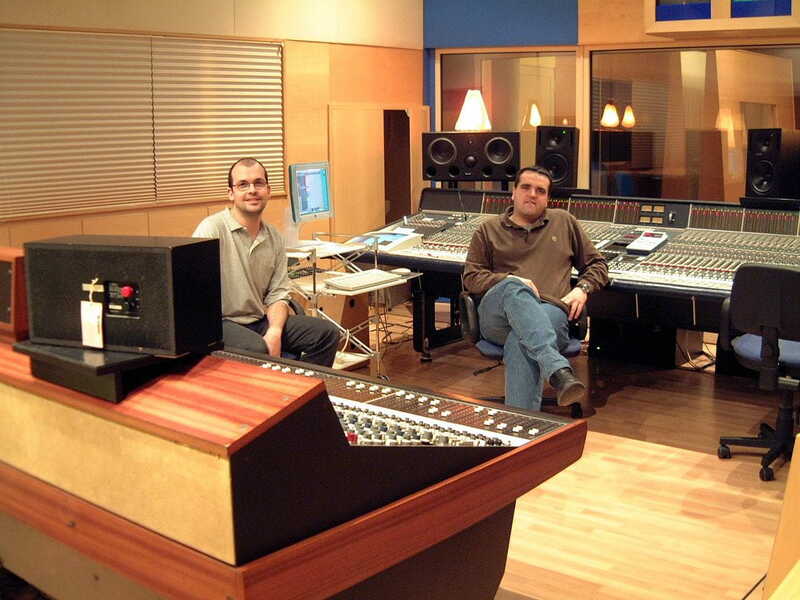 Therefore, three of the band members (Joan Trayter, Jordi Solé and Jordi Rubau) decided to legally organize themselves and create Music Lan Recording Studios. The legally organized company started to carry out projects of relevance such as the “Selvatana” orchestra and "Moments" a jazz album. It became evident that with the current and limited facilities the project could not go much further. They considered, therefore, that the future strategy to make a qualitative forward step could not be other than having new installations. Joan Trayter’s family agreed to build a new building in accordance with the requirements of a high quality recording studio. In 1997 the building of the new recording studio started and in summer 1998 the Maravella orchestra made ​​the first recording within the new installations. The success was very remarkable and Music Las Studios began its hectic activity with not only national but also international groups worldwide. In 2000 an annex building of 100 m2 as a recreational area for the musicians was built and in 2001 and a pool was constructed. However, the sudden and tragic death of one of the founders, Joan Trayter in 2002 shocked the artistic scenario in our country. Jordi Solé took over the direction of the study with the later incorporation of the engineer José Luis Molero to the team. In 2004 Music Lan enlarged his studio with the construction of a new recording studio called Studio 2, with a new area of over 100 m2 and complete equiped to provide the higher standard of quality services according to the philosophy that Music Lan promotes. Currently, the total building area exceeds 500 m2. At the same time it was bought a newly built house of approximately 175 m2 very close to the studio to accommodate artists. Music Lan has currently two recording studios: Studio 1 and Studio 2. They constitute an ideal environment to carry out any recording project, mixing and mastering at the highest professional level.